Epson Philippines is poised to reform business printing protocols for the medium to large enterprise segment with the introduction of the company’s latest printing innovations, the new Replaceable Ink Pack System (RIPS) Business Inkjet printers, the WorkForce Pro WF-C869R and Epson’s first high-speed linehead Multi-Function inkjet printer for enterprise printing, the WorkForce Enterprise series, WF-C20590 and WF-C17590. The new products, unveiled today at Shangri-La at the Fort in Bonifacio Global City, Taguig, promises to provide more options on duplex printing, A3 color printing, as well as high-speed printing in the category where laser copiers remain as traditional tools. The event, “A New Force in Enterprise Printing has Arrived”, brings into focus Epson’s drive to provide better enterprise printing using its flexible technology that can keep up with today’s business demands on durability, reliability, cost savings and lowered environmental impacts. The new Epson printers were revealed during the program via a lights and movement show, treating the audience to a visual experience. Side-by-side panels in the venue showcased the printing superiority of the new products. The launch featured two sessions with a lunch unveiling for media and a primer for corporate partners, dealers, distributors in the evening. “The development of this new category of printers was initiated after a thorough study of the needs and concerns of the medium to large enterprise segment. Major factors that enterprises always consider are speed, quality and running cost. In addition to that, Epson has looked into how to significantly reduce power consumption, use fewer parts for less maintenance and enhance document security. That is why Epson made precise innovations to ensure that each detail of the product really makes a difference in addressing these concerns,” explains Mr. Ed Bonoan, Senior General Manager and Marketing Head, Epson Philippines. The two Epson Business Inkjet Printer models, WF-C20590 and WF-C17590 feature Epson’s most advanced inkjet technology, the proprietary PrecisionCore Linehead that makes high speed printing possible, while ensuring premium quality with its dot precision, sharp text & fine lines, as well as media flexibility. 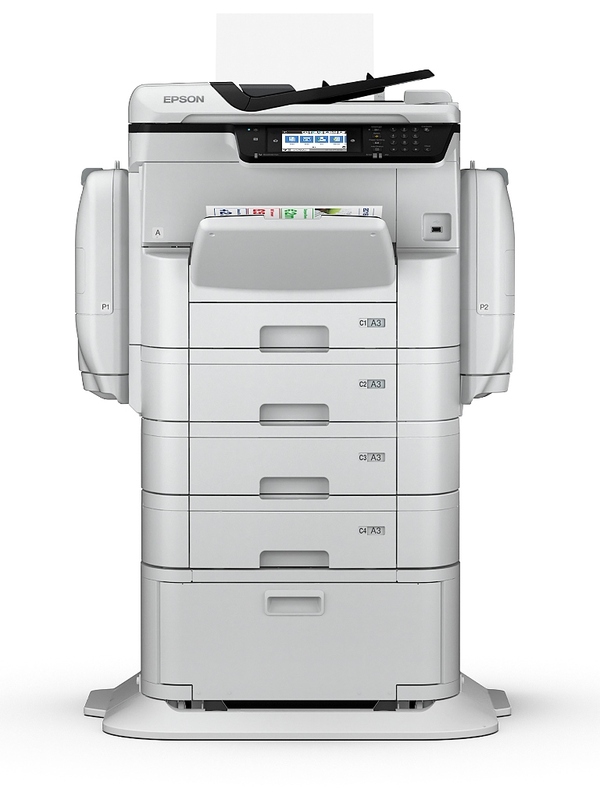 Another product unveiled at the event, the enhanced RIPS WorkForce Pro WF-C869R, is also made with Epson’s PrecisionCore technology while consistently producing quality prints with low running costs, allowing up to 86,000 pages in black or 84,000 pages in color prints. 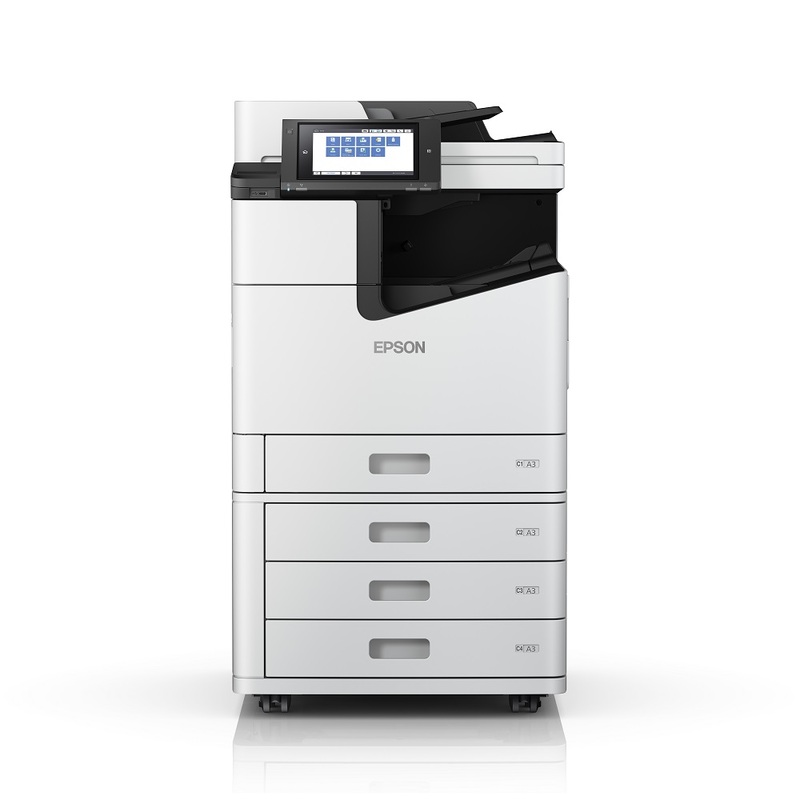 The introduction of these Epson Inkjet Multi-Function Printers is projected to contribute an increase in Epson Philippines’s market share which is currently at 51%. It is also another step in Epson’s continuing innovation to improve the customer experience and expand end-user benefits. “Epson’s long-term goal is to introduce a brand new product category that can compete with the copier and high volume business printers. Epson’s Micro Piezo inkjet technology has proven its vast superiority over laser printing, as what we have already seen in the earlier L-series printers especially suited for SME’s. This time around, we have our most advanced PrecisionCore technology to create a much better alternative to conventional business printing. This development is aligned with Epson’s vision to create a new connected age of people, things and information with efficient, compact and precision technologies,” added Mr. Ed Bonoan, Senior General Manager and Marketing Head, Epson Philippines. The WorkForce Pro WF-C869R is now available in all authorized Epson corporate resellers nationwide with a suggested retail price (SRP) of PHP152,500.00 while the prices for the WorkForce Enterprise series, the WF-C20590 and WF-C17590 are still to be announced. The WorkForce Enterprise series will also be sold through authorized Epson corporate resellers nationwide within this year.